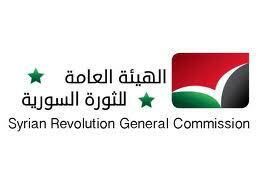 Bassam Jaara spokesman of the Syrian revolution General commission in Europe revealed to Saudi Arabia’s Al Watan newspaper that they are getting their arms by either capturing them from the Syrian security forces of President Bashar al Assad’s regime or by purchasing them from corrupt Syrian officers . Yes the holy resistance is supplying the FSA and at the same time its fighting them. They look good both ways lol. Hezbollah still deserves annihilation after this vile regime in Syria is overthrown. The leadership of Hezbollah must pay for its crimes. The only annihilation taking place will be the Wahhabi rats. And what crimes are you talking about, the protection of Lebanon. Now that is a crime. I surpose people like you would love nothing more than to be ruled by the Zionist.